Hi ladies! It's been a while since I've done an outfit post! Last week college started (I can't believe it's my last semester! it's bittersweet) and I've been trying to adjust to a crazy schedule as well as recovering from wisdom tooth surgery so I can shoot again. As you can tell in these pics, I'm still having a hard time smiling since my jaw feels so sore haha but I tried! 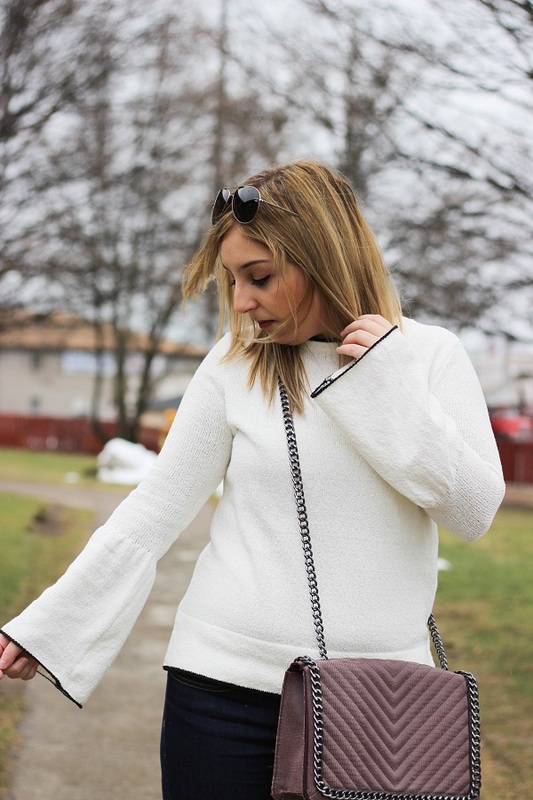 These days I'm sticking to cozy sweaters such as this new one that I got from the latest Who What Wear collection (still in love with this bomber jacket that I was wearing in the fall) that has bell sleeves and is made from the softest material! As strange as this sounds, the material reminds me of a soft towel! haha. I'm not sure what it's called but it's the perfect sweater if you live in warm climates since it won't make you sweat. 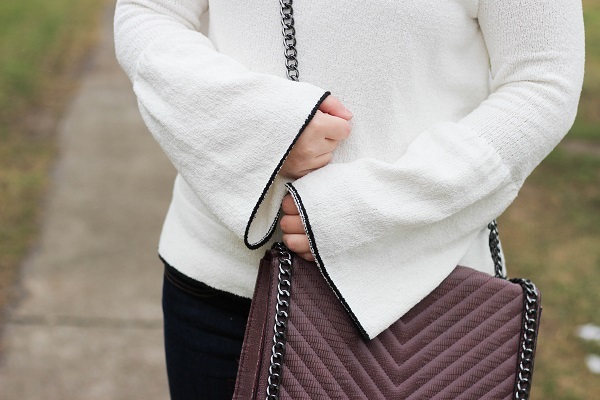 It's a pretty simple sweater that has black trim on the neckline and sleeves which gives it a little something. Unfortunately it's not available online but check in stores! 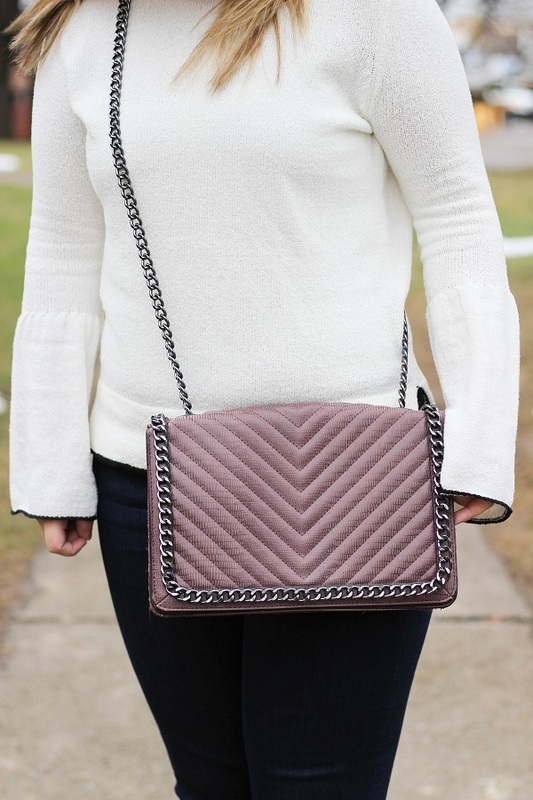 My Target obsession continues with this purple cross body that I always forget I have and is unfortunately no longer in stores but I linked some similar ones below.